Having a hard time getting on track(or Back on Track) with your business or life? Create a new reality! I recently was on a MLSP “Morning Wake Up call” and picked up these nuggets of wisdom about creating a new reality. A Decision is nothing without action. Action is the key to all change and success! Take action on all of your decisions, immediately. Plan, Do, Review! Make sure you plan and review these actions! Use your Imagination. “Play the Part, until your reality changes” Have Courage!!! Immerse yourself in your vision. Live into your vision. Make your vision your reality! The call was amazing! Absolutely agree that you are the only one that controls your life! Great post! I loved the “A decision is nothing without action.” That’s so true because if you’re not taking action, there is no moving forward. Thanks for sharing! Excellent post Phil, some great golden nuggets being shared here.. 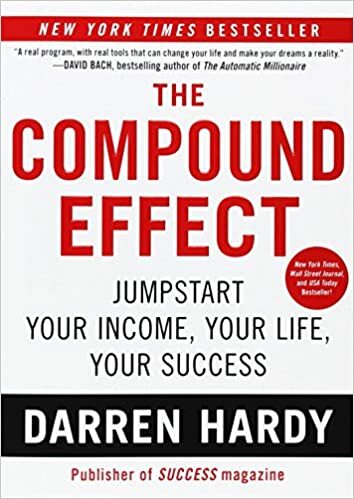 Loved the book Compound Effect…Just finished it last week. Great nuggets from the morning wake up call! I always look forward to our morning wake up call! Great Book. Happy to hear I could offer up some value. Thanks!